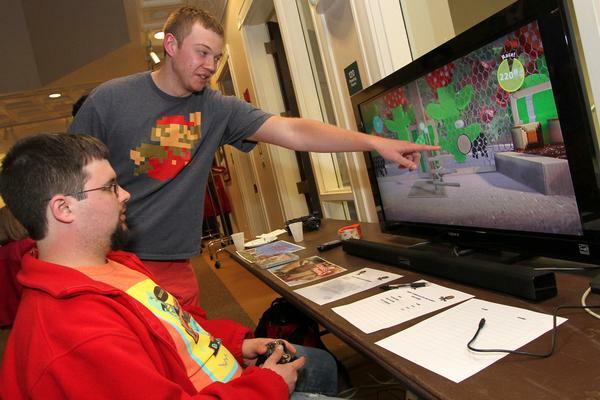 Twenty students in Professor Michael Abbott’s course on game design and human values took their final exams to the public Monday night, hosting more than 100 guests for the inaugural Wabash Game Jam in Detchon’s International Hall. 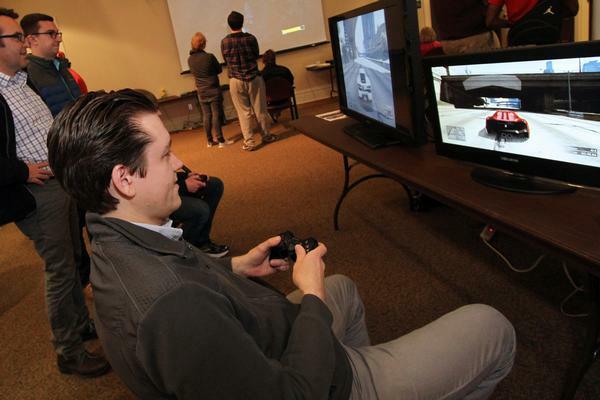 Featuring original video games designed and built by the students during the past 12 weeks, the festival served as a perfect final test of their efforts. 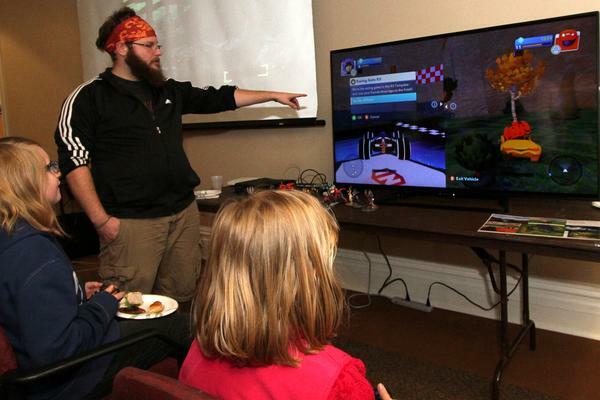 “We just had to have an opening night,” said Abbott, professor of theater and founder of BrainyGamer, the highest ranking single-author website dedicated to gaming in the world. 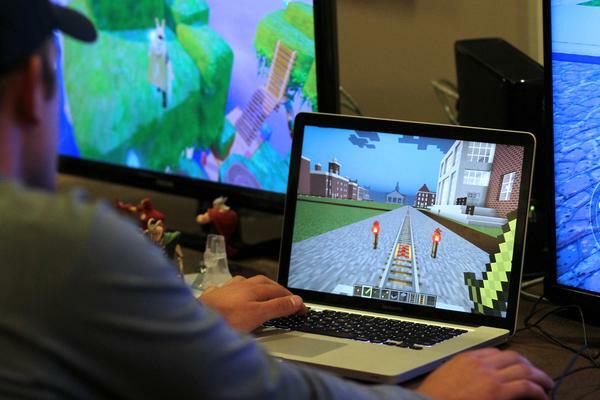 “We were pleased by the range of games and mods our students designed. 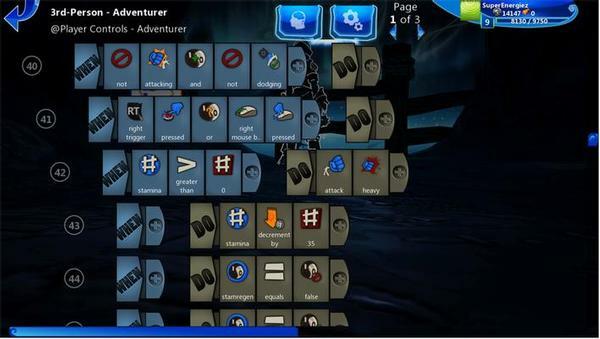 Among our twenty students, ten different authoring environments were used. That mix included young children, teens, and students, but also many women and men in their 30s and 40s. Abbott was not surprised. 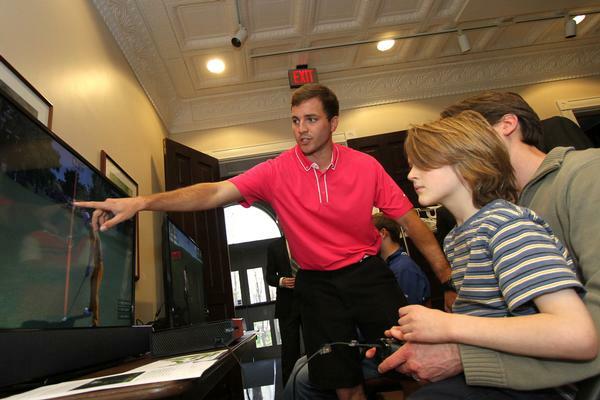 The influence of that movement was also apparent in some of the games students designed, which included everything from golf and driving simulations and modifications to well-known children’s games to a realistic narrative about the deadly obstacles encountered by those crossing into the U.S. from Mexico. There was even a race to graduate from Wabash, and an adventure in which players protect the College’s traditions. 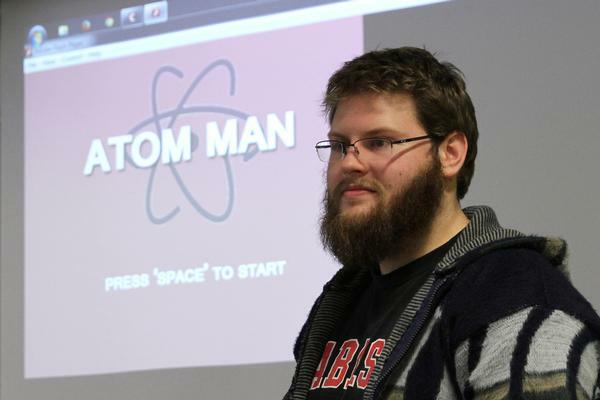 Abbott team-taught the course with former LucasArts and Bethesda Softworks lead programmer Brett Douville. 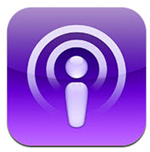 (Listen to an interview with Abbott and Douville.) 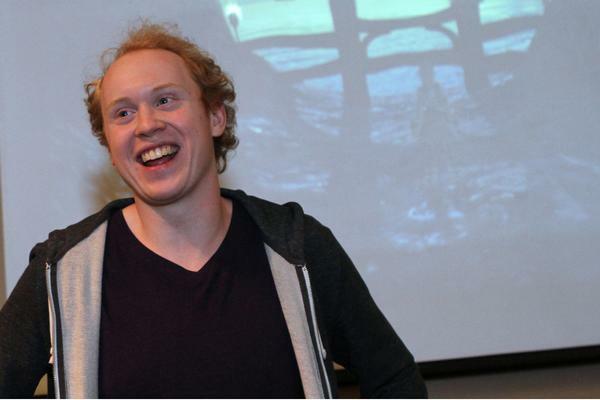 A co-developer of the acclaimed Fallout and Elder Scrolls series of games, Douville recently became an independent developer. 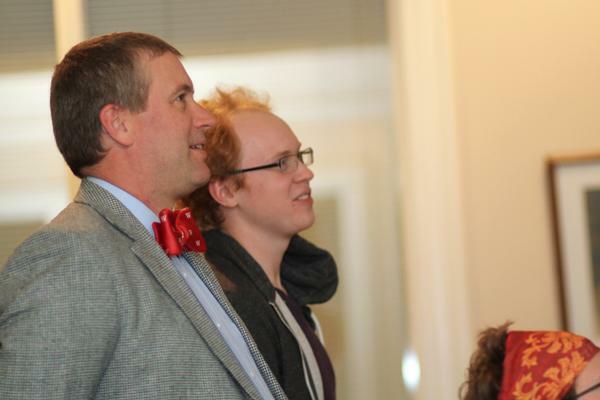 He spent time with students throughout the semester as the College’s first Presidential Fellow in Digital Arts and Human Values. 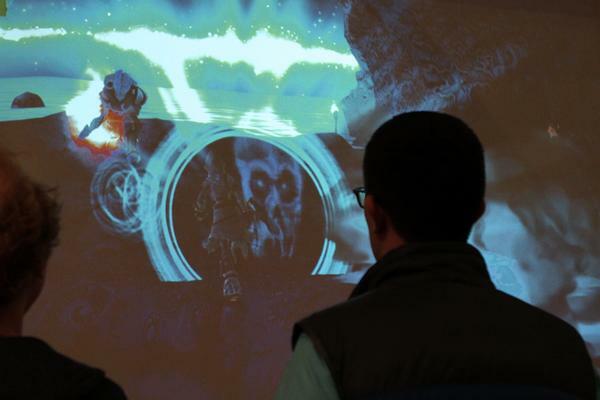 Douville sees games, and play itself, as often untapped portals into learning. “Play happens to all of us early in our lives—it’s about learning to survive in the very real world we inhabit. Of course as human beings in the modern world, most of the threats we faced evolutionarily are no longer around, but we still have that part of our brain. Whenever you’re introduced to a new idea and you’re interrogating it, we will say you’re playing with that idea. We drop that language into how we think of things. 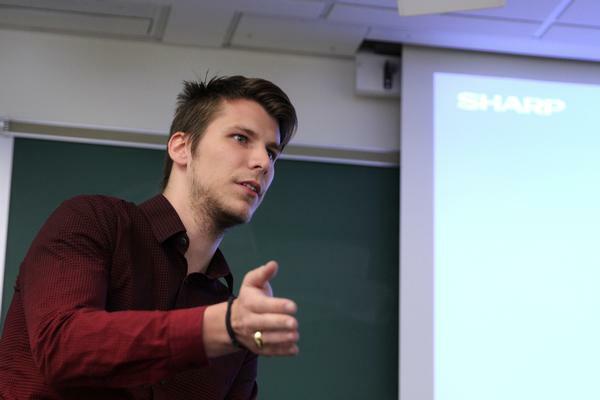 A goal of the course was to leverage play to encourage students to think more deeply about games, and how the way they are designed shape the thoughts and emotions of players. 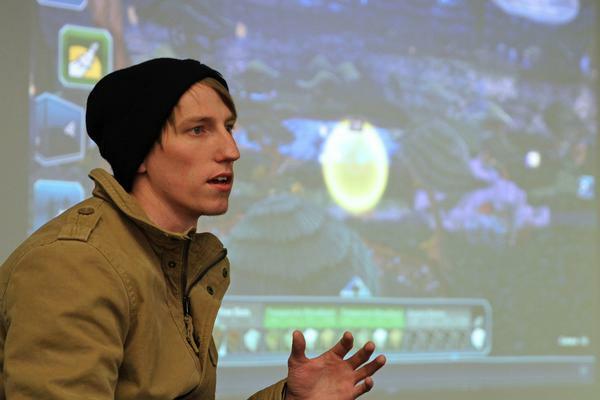 For Douville, the first steps in that transformation were conversations about games the students already knew. 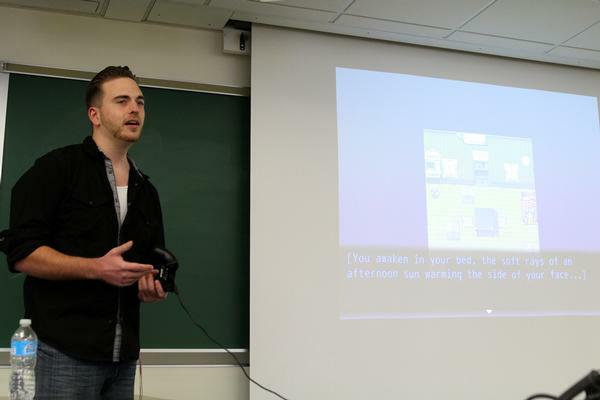 “We wanted them to learn about a game called “This War of Mine,” Douville recalled. Inspired by the Seige of Sarajevo during the Bosnian War, it differs from most war-themed video games by focusing on the civilian experience of war rather than frontline combat, encouraging empathy and understanding of the costs of conflict. “But before we introduced it, I asked them to tell me some war games they’d played. We talked about how those games made them feel, and we talked about some mechanics of those games, and how those might tie together. 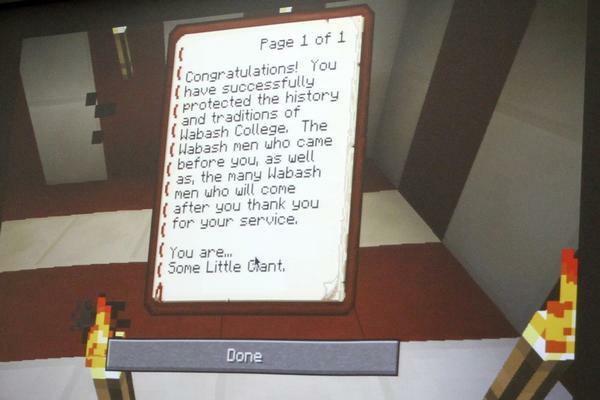 He recalled senior Kyle Schwab’s response to the game “Today I Die,” a sort of interactive poem in which the player is met with a drowning girl, dark creatures, and a poetic phrase representing the scene. 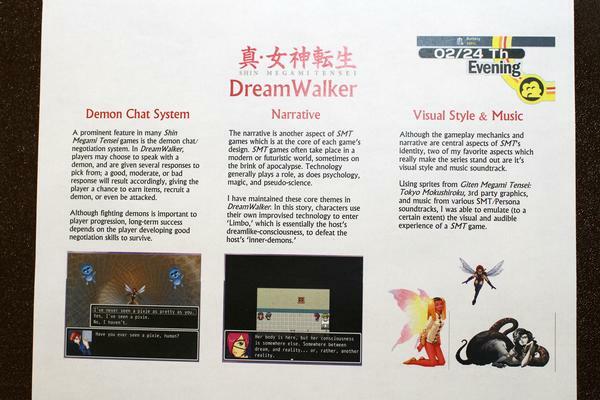 By switching out certain words and manipulating the objects in the scene and the girl, the player can help to save her. 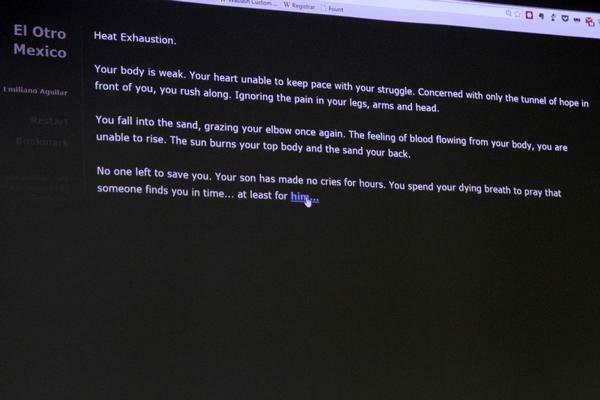 Simple in concept, the game can be profoundly moving, particularly for those who have suffered from or know others who have suffered from depression. 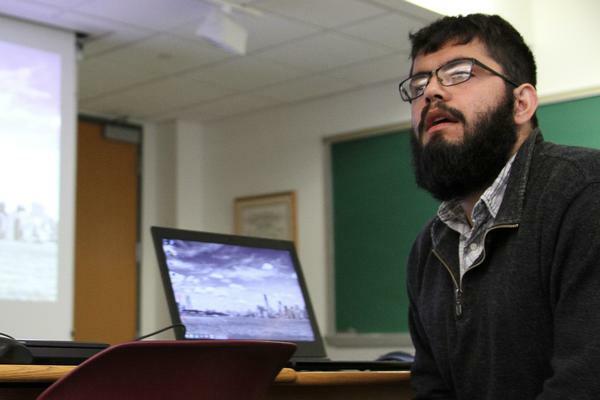 Douville surprised the students by returning to campus for Monday’s Game Jam. 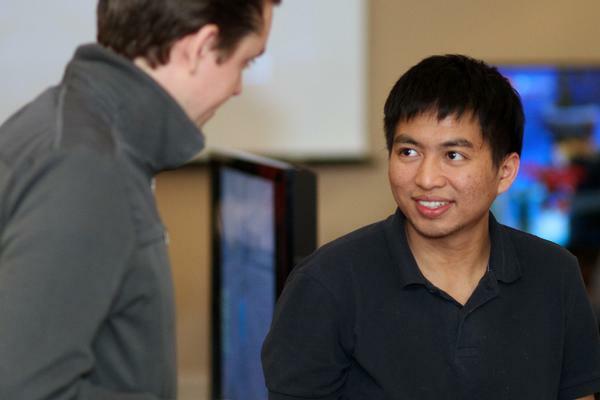 Abbott and Douville’s course—“Designer as Philosopher: Game Design as Expression of Human Values”—is part of the College’s Digital Arts and Human Values initiative. 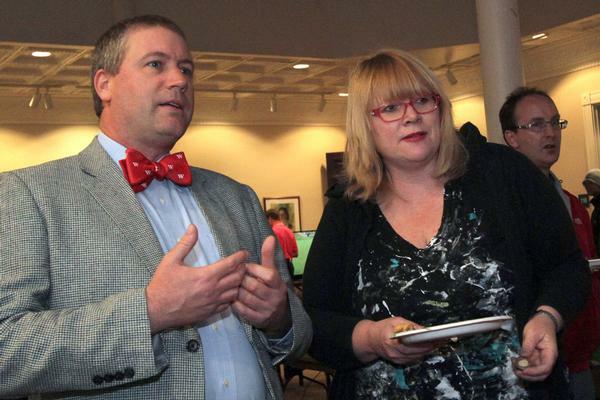 The designer’s participation was funded by a grant from the Andrew W. Mellon Foundation. 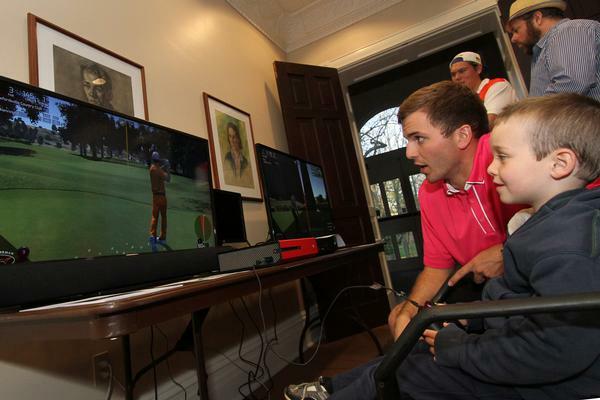 Read about Tom Witkowski's "Deja Vu Moments" in Rome, thanks to a game he played. 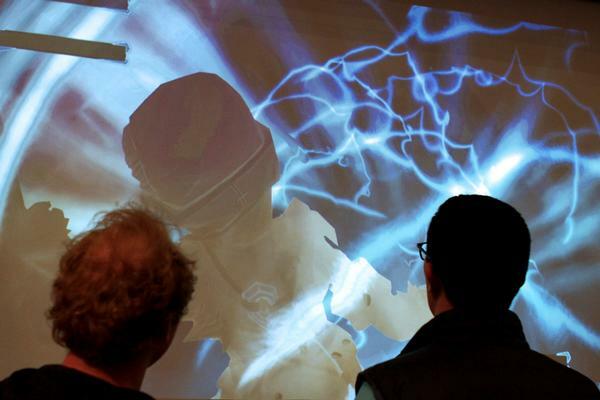 Hear Douville and Abbott discuss gaming, their students, and “designers as philosophers during a Wabash On My Mind podcast, linked below.